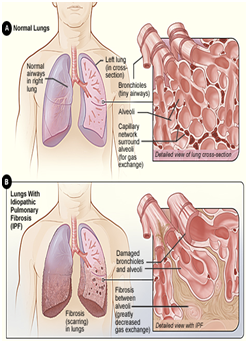 Interstitial lung disease is the name for a large group of diseases that inflame or scar the lungs. The inflammation and scarring make it hard to get enough oxygen in your bloodstream. The scarring is called pulmonary fibrosis. 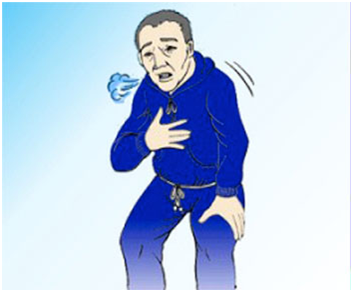 Shortness of breath is a main symptom of interstitial lung disease. You may breathe faster or need to take deep breaths. At first, shortness of breath may not be severe and you may only notice it with exercise, climbing stairs, and other hard activities. Over time, you may notice it while bathing or dressing, and then while eating or talking. Most people with this condition also have a dry cough. A dry cough means you do not cough up any mucus or sputum (non productive cough). Over time, weight loss, fever, muscle and joint pain, and fatigue are also present. Quit Smoking - To help you quit, there are many online resources and several new aids available from your doctor or health care providers. Try to stay away from things that could irritate your lungs, like dust, strong fumes and cigarette smoke. It is also a good idea to get a flu shot every year, since the flu can cause serious problems for people with ILD. Take Precautions Against the H1N1 Flu-People with ILD may also be at increased risk to become seriously ill with the H1N1 flu (formerly called swine flu). ILD is a chronic life-long condition. Do not forget to take medicines if your doctor has prescribed medicines to manage it. High blood pressure in your lungs (pulmonary hypertension). Unlike systemic high blood pressure, this condition affects only the arteries in your lungs. It begins when scar tissue restricts the smallest blood vessels, limiting blood flow in your lungs. 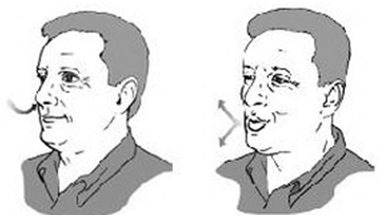 This in turn raises pressure within the pulmonary arteries. Right-sided heart failure (cor pulmonale). This serious condition occurs when your heart's lower right chamber (right ventricle) - which is less muscular than the left - has to pump harder than usual to move blood through obstructed pulmonary arteries. Respiratory failure. In the end stage of chronic interstitial lung disease, respiratory failure occurs when severely low blood oxygen levels along with rising pressures in the pulmonary arteries and the right ventricle cause heart failure. Adults at risk should have their lung function checked regularly. Take Precautions Against Seasonal Flu- In addition to avoiding people with the flu, remembering to wash and sanitize your hands can be one of the best ways to guard against getting sick. Follow your health care provider's recommendations about life style diet and medications. Your medical history - This includes: a review of all the person's symptoms, a listing of current and former medications and a review of any environmental and occupational exposures to dust, gases, chemicals, pets (in particular birds) and humidifiers. 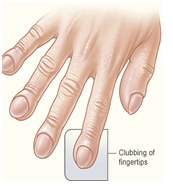 A complete physical examination - Findings of crackling sounds in the lungs and changes in the skin, joints and fingernails can help direct further evaluation. A chest X-ray and high resolution computed tomography (CT) scan - Results are often abnormal with ILD. This can often help determine the type of ILD present. 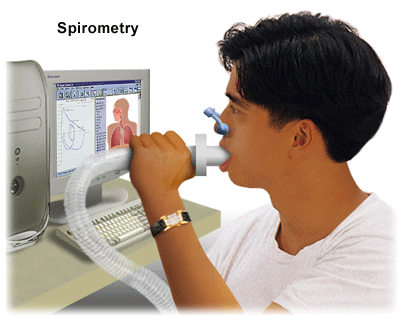 Pulmonary function tests - These breathing test results are often abnormal with ILD. Your lung function may be checked before and after an inhaled bronchodilator treatment. Arterial blood gas - The arterial blood gas test measures the amount of oxygen and carbon dioxide in your blood. The results may be normal or show a reduced oxygen level. Exercise testing - Exercise tests may show a decrease in your oxygen level during activity. Testing may include a six minute walk, oxygen titration and exercise tolerance test. Laboratory data - Blood work may be done to test for autoimmune disease and other disorders that can cause ILD. Bronchoscopy with bronchoalveolar lavage - A bronchoscopy may be done to check for inflammatory cells in your lungs or to sample small pieces of the lung to look for evidence of a specific ILD. In bronchoalveolar lavage a small amount of sterile saline is placed in one area of your lung and then withdrawn. This fluid contains cells that will be analyzed under the microscope. Surgical lung biopsy - In many cases of ILD, a surgical lung biopsy is needed to get enough lung tissue to make a specific diagnosis. The patient's oxygen saturation, nutritional status, and incidence of adverse drug reactions should be monitored at each visit. PFTs and imaging studies should be used to monitor disease progression and the patient's response to treatment. Echocardiography should be repeated to assess for the development of pulmonary hypertension or cor pulmonale. Pulmonary rehabilitation can help you learn how to breathe more easily and improve your quality of life. It includes breathing re-training, exercise training, education, and counseling. Your health care provider can help you find a program that matches your level of fitness and physical condition. Stretching: It helps prepare the muscles for activity and helps prevent injury and muscle strain. Regular stretching also increases your range of motion and flexibility. Strengthening: Strengthening exercises for the upper body are especially, as they help increase the strength of your respiratory muscles. Stop smoking. 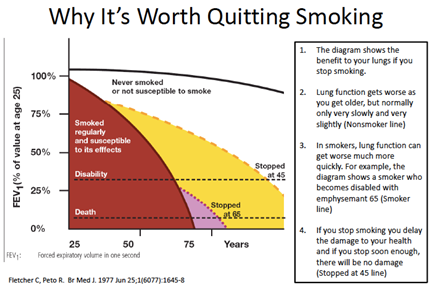 If you have lung disease, the best thing you can do for yourself is to stop smoking. Talk to your doctor about options for quitting, including smoking cessation programs, which use a variety of proven techniques to help people quit. And because secondhand smoke can also be harmful to your lungs, don't allow other people to smoke around you. Eat well. People with lung disease may lose weight both because it's uncomfortable to eat and because of the extra energy it takes to breathe. These people need a nutritionally rich diet that contains adequate calories. A dietitian can give you further guidelines for healthy eating. Get vaccinated. Respiratory infections can worsen symptoms of intersitial lung disease. Make sure you receive the pneumonia vaccine and an annual flu shot. Living with a chronic lung disease is emotionally and physically challenging. Your daily routines and activities may need to be adjusted, sometimes radically, as breathing problems worsen or health care needs take priority in your life. Share your feelings with your loved ones and your doctor. Talking openly may help you and your loved ones cope with the emotional challenges of your disease. In addition, clear communication will help you and your family plan effectively for your needs if your disease progresses. You may also want to consider joining a support group, where you can talk to people who are facing challenges similar to yours. Group members may share coping strategies, exchange information about new treatment or simply listen as you express your feelings. If a group isn't for you, you may wish to talk with a counselor in a one-on-one setting. Maintaining a healthy weight is important for people with lung disease. Excess weight can increase shortness of breath and puts a strain on your heart, while being underweight can decrease your energy level and make you more susceptible to infection. Eat a diet high in protein, fresh fruits and vegetables. Protein is the body's building block. You need protein to aid healing and to reduce muscle loss. See our list of high-protein foods and tips for increasing protein in your diet. Carbohydrates should come from fresh fruits and vegetables, rather than processed, high-sugar or starchy foods, which contain more calories and fewer nutrients. Eat several small meals of high nutritional value. Eating a large meal can leave you feeling too full and can restrict your lungs from fully inflating, making it more difficult to breathe. Eating three smaller meals and three snacks a day makes the stomach less full, leaving more room for your lungs to expand. Make every calorie you eat beneficial to your body. Eat your main meal early in the day so you'll have more energy throughout the day. If you wear oxygen, be sure to use it during meals. The body requires lots of oxygen for eating and digestion. Limit sodium intake. Sodium can cause fluid retention, which may interfere with breathing. You should especially watch your sodium consumption if you're taking prednisone or if you have high blood pressure or heart problems. Try to get no more than 2,400 mg of sodium per day (<1 tsp salt/day). Include fiber in your diet. Fiber aids the digestion process and bowel function and should be incorporated into your daily meals. Fiber is found in whole wheat, oat and bran products, fruits and vegetables and beans. The only problem with some high-fiber foods is the excess gas they may produce, which could increase shortness of breath. Limit caffeinated drinks. Caffeine can interfere with some medications and can cause restlessness or nervousness. Limit alcohol. Alcohol interferes with a good night's rest. If you have acid reflux, limit foods that increase acidity in the stomach. Spicy foods, caffeine and alcohol can increase stomach acidity and should be limited if you have acid reflux. Avoid lying down for two hours after eating. 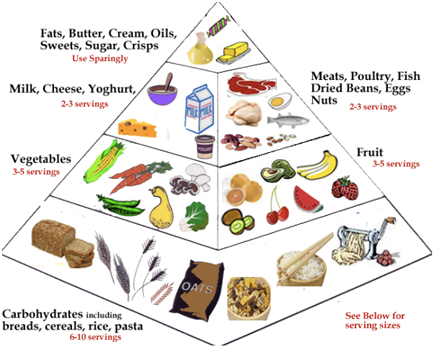 All of these ideas can be adjusted to decrease saturated fat content. For instance, use low - or non-fat dairy products such as milk, cheese, yogurt, ricotta and cottage cheese; use egg whites instead of whole eggs; and use low- or non-fat mayonnaise and sour cream. Low-fat high protein foods such as lean cuts of meat, poultry, and fish - particularly oily fish like salmon, mackerel, and sardines. Foods containing high levels of potassium, including bananas, oranges, tomatoes, asparagus, and potatoes. Limiting sugar, caffeine, and alcohol can promote health and reduce stress. Take your diet and exercise plan seriously.